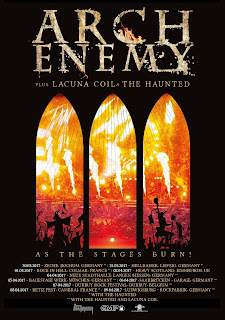 ARCH ENEMY have announced a new live DVD - 'As The Stages Burn!' 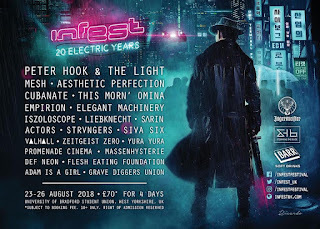 was filmed at WACKEN OPEN AIR Festival in Germany this year and was is the band's largest stage production to date. This performance marks the pinnacle of a highly successful album campaign in support of War Eternal. It all began in March of 2014 when the band announced new vocalist Alissa White-Gluz as well as the video for the album title track, 'War Eternal' which went on to become the bands most successful video in their career, surpassing 20 million views on YouTube. 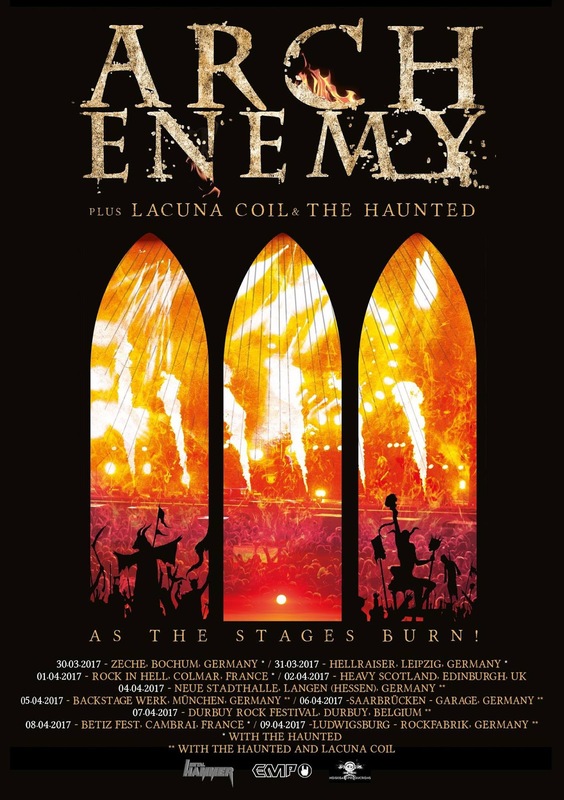 The release of the War Eternal album also saw ARCH ENEMY reaching their highest US and German chart positions to date while going on to play over 200 shows in over 40 countries around the world. In late 2014, Jeff Loomis (ex-Nevermore) joined ARCH ENEMY during the world tour with Kreator and in 2015 they played arenas as direct support for Nightwish. The DVD highlights an impressive live production fans have never seen before! 'As The Stages Burn!' is scheduled for a worldwide release through Century Media Records on March 31st, 2017.